How to configure to access Project Server 2010 through PSI? The Project and/or Assignment unique ID refers to a missing or invalid object. Cannot open log for source . You may not have write access. 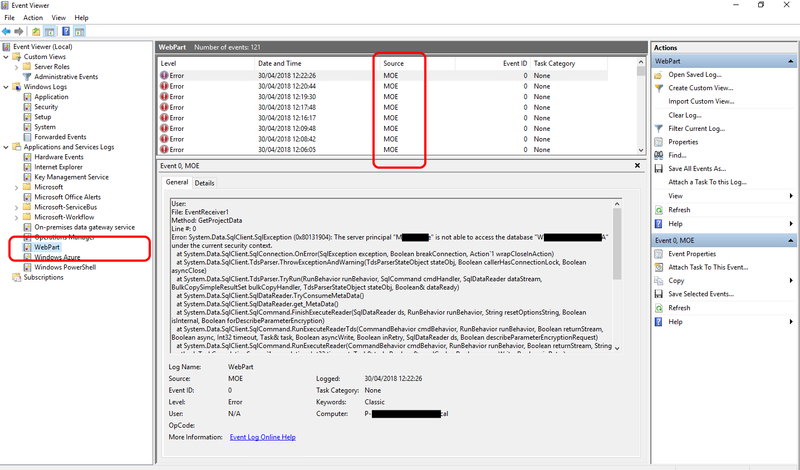 Use the following piece of code to log any error and/or information to Microsoft Windows Event Viewer. This is very useful when we need to store some information without doing extra efforts.